FACETED WATERMELON TOURMALINE GEMSTONE NECKLACES. FEATURING ALL THE RICH & VIBRANT WATERMELON COLORS OF THE GENUINE TOURMALINE GEMSTONE. 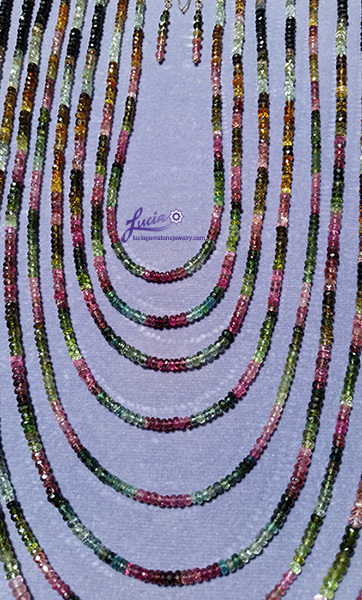 EACH NECKLACE IS DESIGNED WITH PETITE 4MM FACETED BEADS OF ALL THE WATERMELON COLORS.